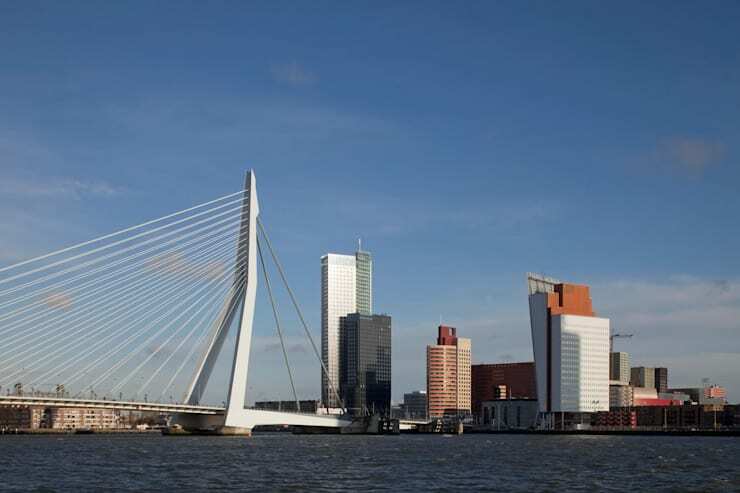 With a height of 165m the Maastoren, situated on the south bank of the Maas River where the Erasmus bridge touches land, forms the apex of the Kop van Zuid district. The base of the building is a antracite-coloured basalt plinth that rises from the water like a pier. The facades above the basalt base feature an aluminium skin, with the high tower's colour changing from charcoal to silvery white as it ascends. The monochrome lower segment is in keeping with the adjacent row of buildings. 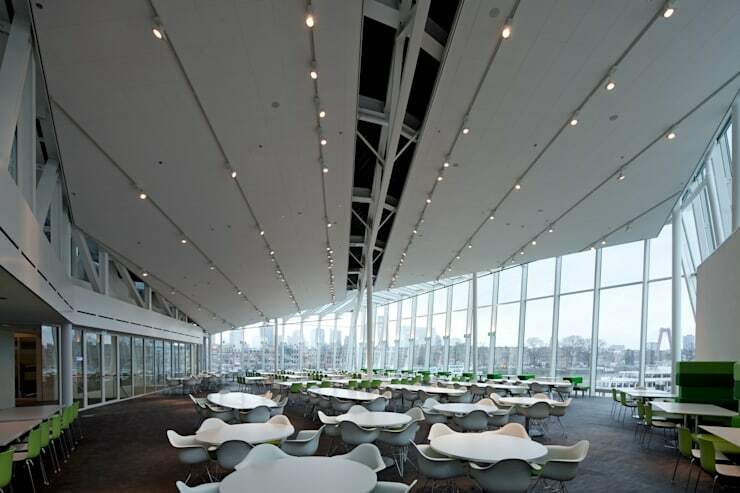 A glass crystal-shaped volume that accommodates reception spaces lies on the waterfront at the base of the building. 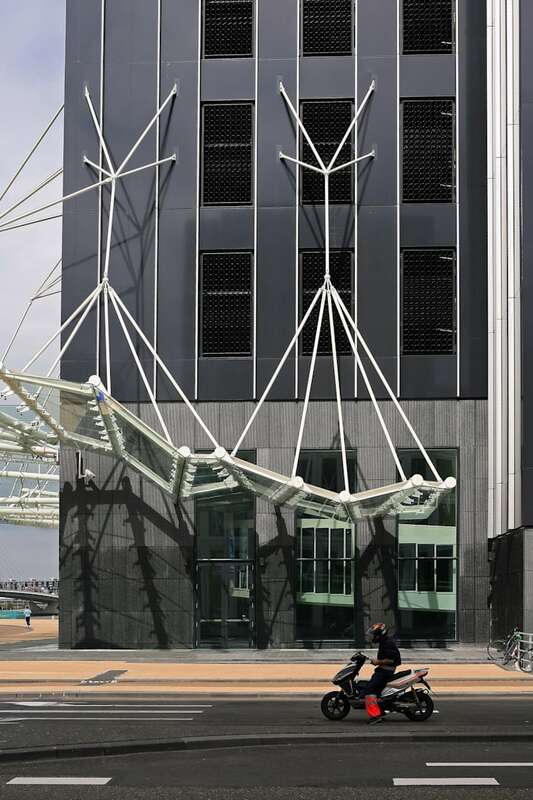 The central entrance on Laan op Zuid has a prominent folded glass porch. 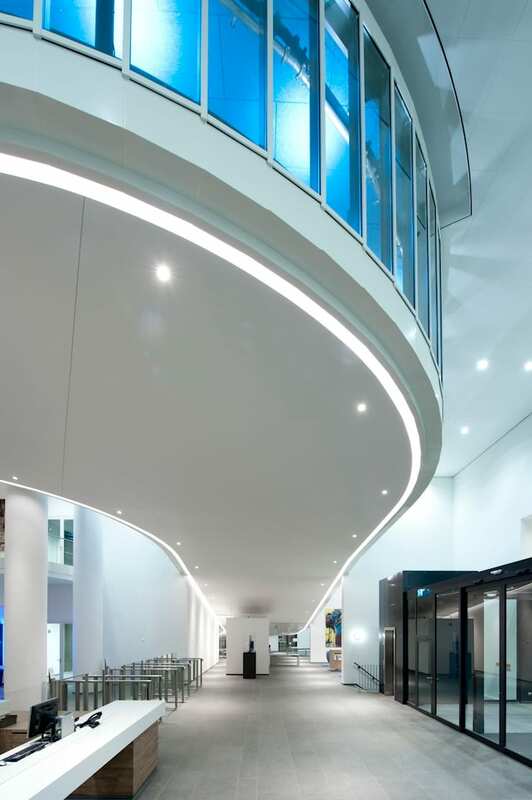 An ascending ramp through the center of the lobby lends access to a ten-storey public car park on the second floor. 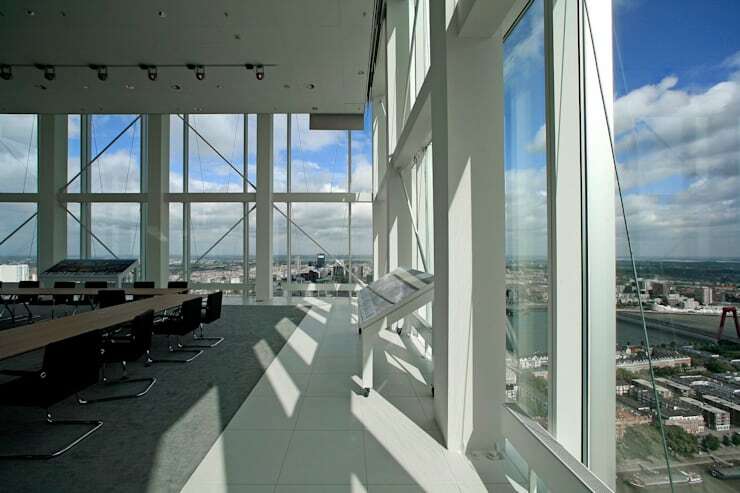 From the thirteenth storey on, the actual office building begins with 17 floors in both towers. 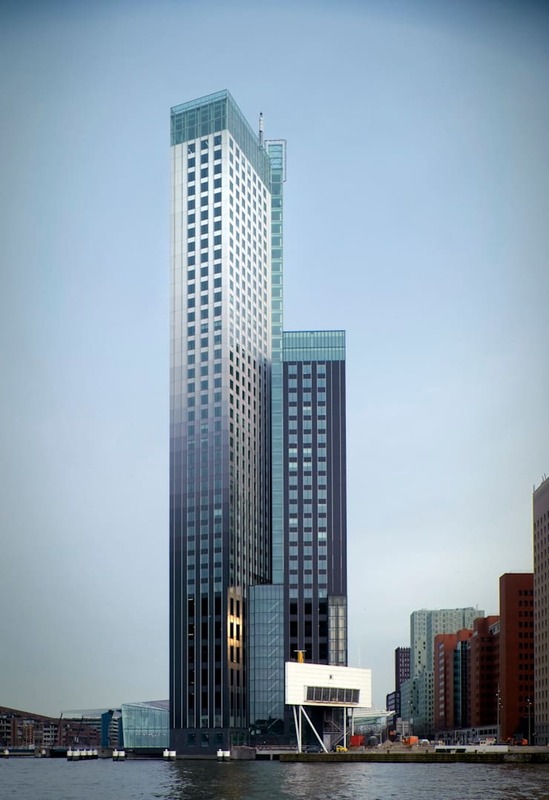 An additional 15 floors continue in the heighest section, that ends in a 7 meter high board room on the 45th floor, with a panoramic view of the Maas River.